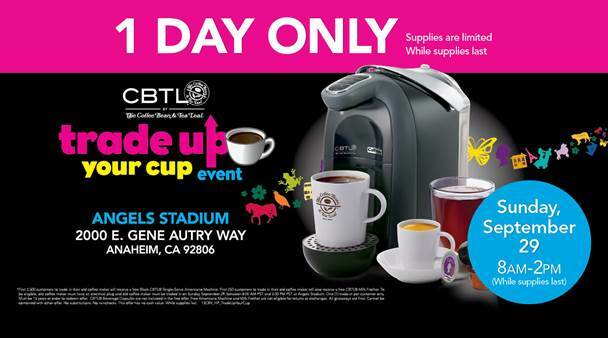 In addition to giving away FREE CBTL American Machines, Coffee Bean & Tea Leaf will also be giving away a FREE CBTL Milk Frother (valued at $49.99) to the first 250 people in attendance! From 6 a.m. to 8 a.m, guests waiting in line will be served bottomless coffee for FREE. Prior to event start, fun games will also be happening that are coffee-related and there will be some other fun surprises throughout the day! All coffee pots traded in will be donated to Goodwill Enterprises and redistributed throughout all Southern California stores! Not only can you get a FREE brand new Americano machine of $150 value, for free…you are also donating to charity! This event sounds like a win win to me! These Americano machines being given away can brew espresso, coffee, tea and specialty beverages by simply pressing one button! This will be the second year of this event, as last years event on Sunset Boulevard in Hollywood was a raging success! 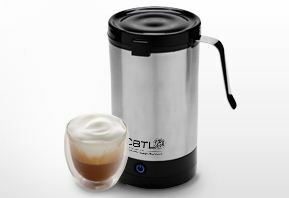 Last year Coffee Bean and Tea Leaf gave away 2,500 complimentary CBTL Kaldi Machines (valued at $179.95) in black, white, red, and blue and 200 free CBTL Milk Frothers (valued at $59.95) over ½ a million dollars’ worth of product. I am sure this year will rock it even more! 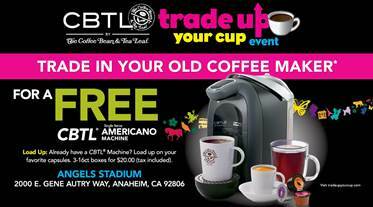 The CBTL Americano machine was originally created in 2010 to give customers the ability to recreate their favorite Coffee Bean & Tea Leaf drinks in the comfort of their own homes! 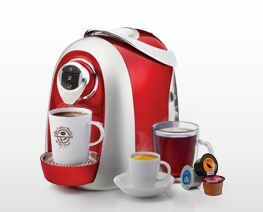 These coffee makers can be found in select department stores, retailers and home shopping networks, as well as in Coffee Bean & Tea Leaf Stores and online. 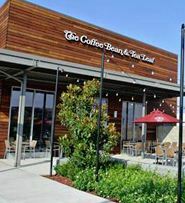 Coffee Bean & Tea Leaf has been one of my favorite coffee shops for a long time and has been one of the oldest retailers in the US opening their doors in 1963. I have always been a huge fan of their ice blended beverages that I used to pick up nearly every day before work before I hit my mid 20’s and could not break down the calories like I sued toJ There are healthy options for beverages though as well of course! 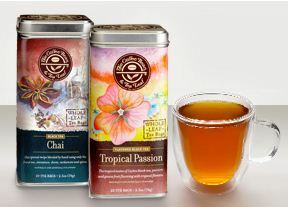 For more information about Coffee Bean & Tea Leaf, please visit their website, www.coffeebean.com or their facebook page, www.facebook.com/thecoffeebean. Wow that’s a win win situation. Not only will you be doing something good by donating you will get something in return too. How cool is this! They should do this at Yankee stadium! aww to bad they don’t have that giveaway here in hawaii. I would love something like this!! Wow! You are very lucky. We never have anything like that here and I sure need a new coffee pot! National Coffee Day!!! Wow,,sounds like just my kind of day lol.. free coffee maker sounds like a great deal too! You sure do find the deals! Let me know what you think of this product. Wow what a deal. I just stopped drinking coffee however and threw my machine away. It was nasty anyway! Can you come to Philadelphia? 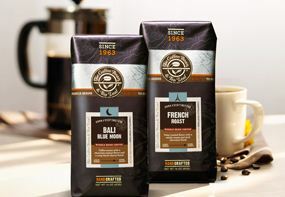 This is such an amazing deal and I LOVE, LOVE, LOVE coffee! its fun﻿ saving money…Thanks for sharing! Oh how I wish I lived closer. 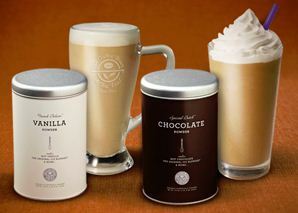 I would be first in line to exchange my Gevalia coffeemaker for this new CBTL Americano Machine. Enjoy one for me Dani. This is a good deal! I could use a new coffee maker! I’m betting the event will be even better than last year. Too bad that I gave up drinking coffee except for weekends when I’m out at a restaurant for breakfast to cut down on caffeine. How decadent coffee maker for $150. I love this free deal but I make only Turkish coffee. That is really a nice machine to have!